Have to recently purchase a new Android or iPhone? Are you receiving unwanted calls and text messages on your phones? No matter which kind of a device you use, we often get tired of receiving fake or spam messages again and again especially when we are busy in a business meeting or doing some important work. If you are also facing such a situation and want to get rid of those unwanted text messages then this guide is for you. Here in this article, we will be teaching you about the most proven and simple way to block unwanted text messages you are getting on your iPhone and Android. If you are having an iPhone and wish to block the unwanted text messages, then it is best to use the most preferred and trustworthy application that is the TheTruthSpy App. yes! You heard it right. It is a popular third-party application that is used by millions of people worldwide. 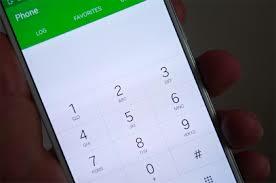 It is not just used for blocking the unwanted user or number from calling and texting, but it is even used for monitoring other person’s activities as well. However, to use this application easily you have to follow a few necessary steps that are mentioned in the below-given article. Before you start to use this application, you have to go to the setting option available on your device and turn on the unknown sources option. Now you have to visit the official website of this app that is the http://android.thetruthspy.com. Now you will see the option of creating a new account, you have to create a new account with this application using email id and password. The application offers its users 40 hours trial package. You can use this package to known the features of this application. Once you are satisfied with its features you can purchase the subscription package that is affordable for you. Now you can download and install this application on your device which would merely take 2-3 minutes. Now visit the contact list and block all the spam calls and messages that you have received. It is simple and easy to use application that helps you block all the unwanted messages and calls. Other than this, the application also offers its users other features that enable users to monitor call logs, messages, SMS, location tracking, password hacking and a lot more. The application is fully undetectable and is compatible with all types of devices. The application is widely used by parents, spouse, and employers who wish to spy on the activities of their kids, partners and employees. The application consists of various features that help the application users to even known from which place the call is being done. It is a great help for investigators who are in need to track the location of a suspect without them knowing. So, if you are also irritated with spam calls and text messages, then block them today using TheTruthSpy app and get rid of them forever. I think my partner is seeing someone he’s always with his phone all the time and sometime he’s usually make night calls… Most time he told me he’s communicating with his co-worker at his office. Something is ain’t right some way and always do my best to keep track on him on his move and whom he’s communicating with but i can’t find anything. My wife and I, was in a terrible situation sometimes last year. We urgently needed to get a new house and my credit score and my wife own too was bad. We tried all we could to get a loan but all effort was in vain due to the bad credit score 574 and 590 . God so good to us, I later met with a credit score specialist and instructor, he gave me some instructions and requested some information from me regarding my credit score in which I provided everything to him. Luckily for me, this man was able to fix my credit score to 721 and 736 , I was so amazed. I’m happy to tell you that I’m writing this review from our new house which I wouldn’t have got without the specialist’s help. I know some people out there are in this kind of situation and I would love to help to put specialist’s contact here, You can message him privately on his mail which is Luciferhacker750@yahoo.com or whatsapp him +1(231)267-8976 this help came at the time I already lost all hope.you can thank me later.